An urban oasis that never sleeps. Moody, seductive and always surprising. Midnight presents Braddon’s most contemporary fusion of sights, sounds and textures to stimulate every sense, at any hour. 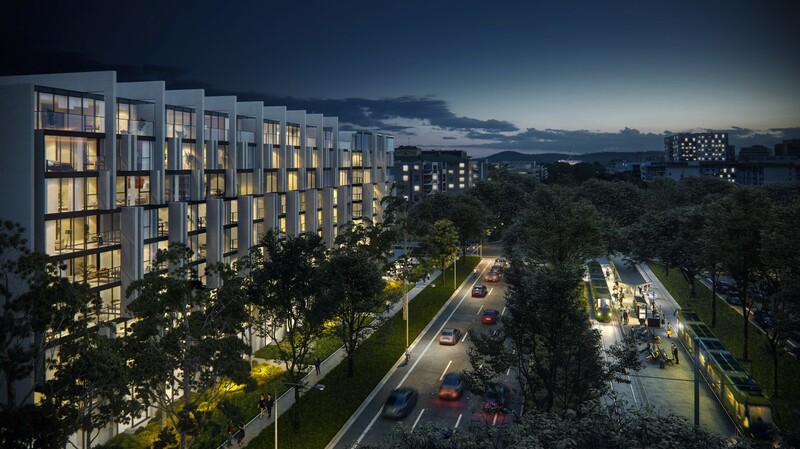 With a mix of 1, 2 and 3-bedroom apartments, just minutes from the heart of the CBD yet still highly affordable, it puts any notion of ‘sleepy’ Canberra firmly to bed. Forever. Midnight stands tall as a single address. View further and it reveals a breathtaking duality. Inspired exterior facades deliver two rich facets of modern Canberra seamlessly in one unprecedented design. Cast your gaze eastward to Mort Street and beyond and be immersed in the intoxicating creative energy of Braddon’s iconic Lonsdale Street, with a distinctly more creative facade sending the boldest of expressions to the street. The Mort Street frontage is punctuated by an eclectic mix of glazing and raw textures, wrapped in an intriguingly irregular apartment stack to capture the imagination of the outside world. This is Midnight Delivering an unprecedented mix of location, design, amenity and value, Midnight presents a rare opportunity for Canberra home buyers. "Midnight is the most intriguing development we have ever undertaken."